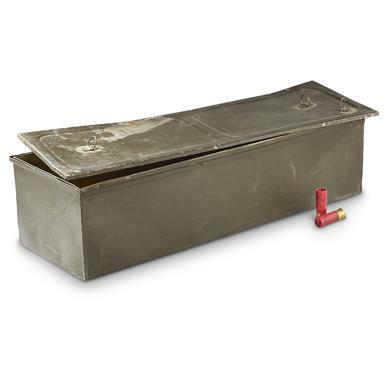 "Vet" German Military Surplus WWII Afrikakorps Ammo Box. Rare real deal, over 70 years old. Own this vintage collectible from the North African Campaign (1941-1943) of World War II, as commanded by the renowned "Desert Fox," Erwin Rommel. 25" x 8.5" x 6.5"h.
Condition: used, in very good shape. Be among the first to own. Nab yours today!